A new dimension of low-pitched tones. The Marine Band "Thunderbird" combines recent developments of Hohner with a innovative and inspired cap design of Joe Filisko. 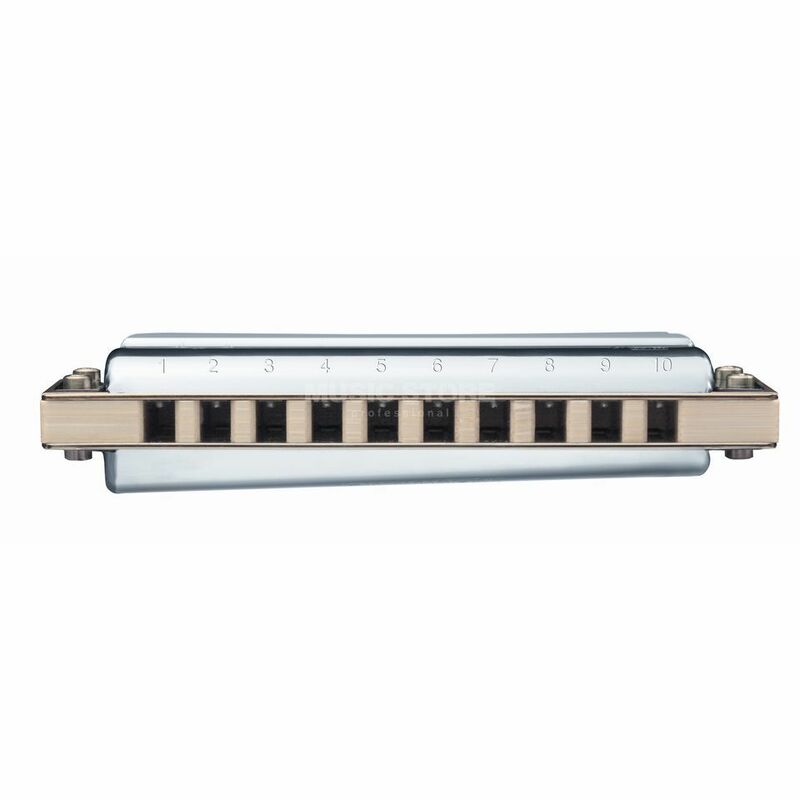 This model defines a new standard for diatonic harmonicas in Low and Low- Low scales. The "Thunderbird" harp offers a loud sound and an easy attack point of low-pitched tones!